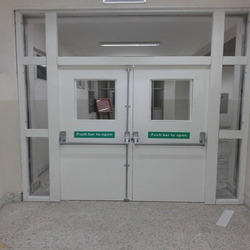 Providing you the best range of ul labeled fire doors, ul-listed fire door, fire rated doors, fire rated glass doors and certified fire doors with effective & timely delivery. 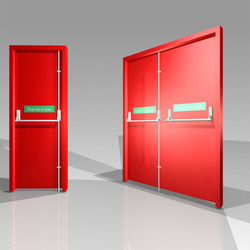 Our firm is engaged in manufacturing, supplying and exporting of a commendable array of UL Labeled Fire Doors. Push ( Panic)Bar exist device with lever(knob) handle or normal mortise fire lock with profile cylinder & keys & with lever handle. 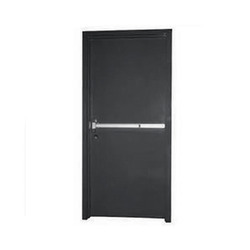 Fire Rated Doors leaves are manufactured with a Honeycomb/Rockwool fire resistant core, these doors are fully tested and UL certified. Aiming at the maximum degree of client satisfaction, we are involved in manufacturing, supplying and exporting a commendable range of Fire Rated Glass Doors. 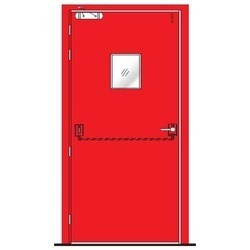 Certified Fire Doors with UL Certification doors can be provided.this allows the protection of external doorways & Internal secure rooms & protection from fire. Clients concerns are always been on foremost priority and we execute our business operations accordingly. 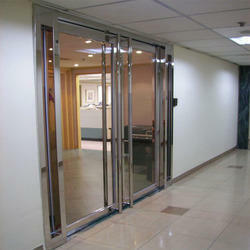 Therefore, we manufactured the Fire Rated Glass Doors in tandem with the specifications given by them. 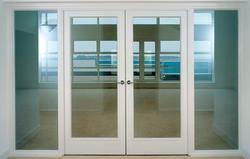 Looking for UL Listed Fire Rated Doors ?